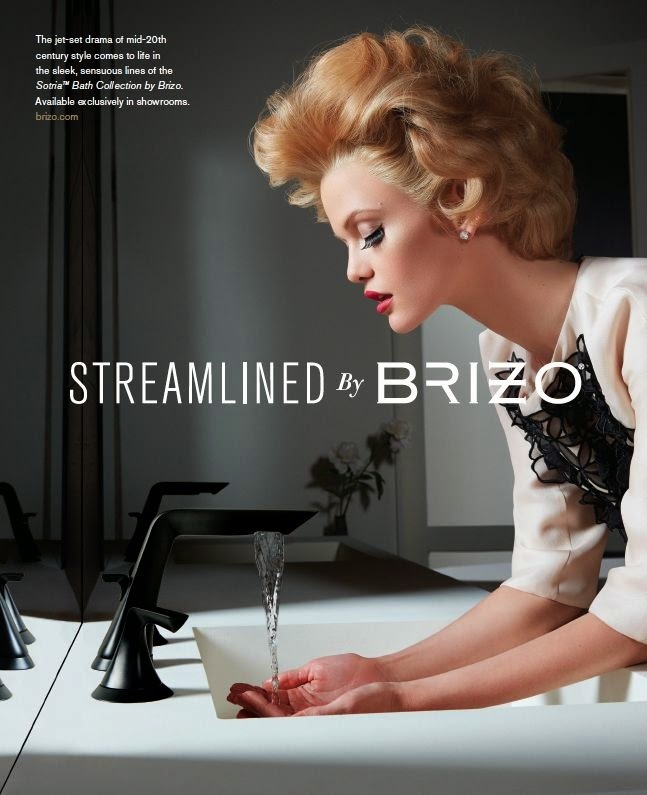 The "By Brizo" campaign brings fashion into entirely new spaces: the kitchen and bath. Working with renowned fashion photographer Greg Lotus, the Brizo team sought to capture and express the idea that fashion isn’t about just clothes—it’s about an entire lifestyle. The luxury fittings brand launched a campaign showcasing its Sotria, Artesso and Virage collections in highly stylized settings. Inspired by fashion, the campaign embodies two simple words that speak volumes. The Brizo brand equates itself with fashion – and this campaign underscores how fashion is not simply about the clothes we wear, it’s a lifestyle. “By Brizo” was captured by with celebrated fashion photographer Greg Lotus, whose work can be found in the pages of Vogue, GQ and Vanity Fair, to bring the campaign to life from behind the lens. Each ad in the campaign features a headline that speaks not only to the inspiration behind the product itself, but the fact that each Brizo product is a work of art. And much like an artist or fashion designer signs her work, so too does Brizo—with two simple words that speak volumes.